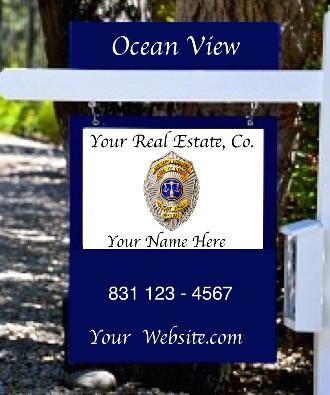 LOOK FOR OUR REEinc "BADGE"
----------------in the "WRONG" Dream House ... before you even know the Neighborhood. -----------------------LLLLL-----------------"Perfect - Little - Pocket" FIRST...! ---------------Leaves only a HANDFUL of the Most SENSIBLE Choices-you then "Pick for YOURSELF" to see INSIDE. --LIKE: Not FUNDING 3 Full Commissions Instead of 1 - to Fix the "MISTAKE"
When all you THOUGHT you were doing was coming to Relax ... Have some Fun ... and be HAPPY! ------------and may be the MOST - IMPORTANT - THING you ever do towards preventing your OWN Buyers Remorse. ----without Closing a Deal. So, when you DO "fall in love" it puts a very Big Smile on any Agent's face. ------------------------------------And, THAT takes TIME ... you DON'T want to allow. instantly providing Electronic Access to this "List" ... to Listing Brokers? Highest Possible PRICE, at the BEST TERMS ... For the SELLER? While only owing the less "Litigious" LOWER Duty of "Honesty" to the BUYER. "Down" to Realistic Pricing to obtain a sale at all. ... then GOT it? Only to watch it become the "Next" Highest COMP. Still, there is some hope for Buyers. Depending on Market Conditions, many Offers ARE "Accepted, Rejected, or Countered"
WITHOUT ever seeking other Bids ... largely due to the SELLER'S POWERFUL FEAR of LOSING a REAL BUYER. THAT ... is EXACTLY the situation a BUYER wants to "Create" with their Offer. ..................--------.....These are NOT your friends yet, and It creates a Stronger Position if "Negotiations" become complex. 1) At the High End - you want to "Show" you're Certain, Ready, FAST, and MEAN what you say. WITHOUT "Showing"
you're Smitten. You'll buy the house, period. If by chance you meet the owner - be calm, warm, don't try to impress. for your business." DON'T' PUT IT DOWN. DON'T imply it's "expensive." Leave them GUESSING. Even if you LOVE the View, etc., " ... It's a nice view." Implying ... Nothing you're unaccustomed to. High End you-may-be-considering. Don't talk too much. Don't ask a lot of questions to be friendly. Don't "oooh & aaah"
the "Wonderful family portrait on the wall" instead. Be a Mystery... ... they're watching every clue like a Hawk. For YOU ... it's just "business as usual." than "Picky" to insinuate "MANY other houses might please you as well. THIS one may be fine for now. unless you've signed a Buyers Representation Agreement which REQUIRES Fiduciary Confidentiality and Loyalty to YOUR side. FIDUCIARY Duty is exactly the same as their company's Listing Broker (which IS to obtain "Highest & Best"
Seller's side. And your Agent can't legally help that. So what if the House YOU fall in LOVE with IS Listed with your Agent's company? ------------------And means the LISTING Broker will be representing both the BUYER & SELLER. OFFERS from the Seller, or Other BID'S coming in ... you REALLY need to know what's coming your way. Because while DUAL AGENCY is never a "good" option, it is nonetheless OFTEN your BEST option until laws change.. Listing Broker's all IMPORTANT FIDUCIARY DUTY with a BUYER ... eventually. And THAT sounds suspiciously "magnanimous"
for a Seller. So WHY would they do it? discuss a Rock Bottom price, and LOTS of "other" Professional Advice. While YOU ... NEVER WILL. b) COMPETING BIDS come in. NO ONE in the ENTIRE Listing Company will "legally" be allowed to ADVISE YOU (even as to "Possibly"
--------------------------------* or believe the overall "Market" is moving in the "Buyers" favor. at Branch Offices) will have their hands tied by the Dual Agency. ---------------------------*Price, *Terms, *Offers, or *Counteroffers. ------------------------------------------IT'S CALLED "LOSS OF ADVOCACY"
* What IS the BEST way to handle that SELLER'S Counter Offer? "Sorry, can't "Advise." * What if the Broker's Company has ANOTHER Agent's BUYER make an Offer too? "Sorry, can't "Advise." * Should you counter? Hold Firm? Ask for proof? Are their TERMS as good? "Sorry, can't "Advise." "What do you want to do ... Accept? Counter? Here it is! What do you want to do ... ?" -------------------------------------------------... now that "things" suddenly got so COMPLICATED? --LLLH---------------------------------------------------"Sorry, can't "Advise ... that's up to you." evaluating and presenting other BIDS coming across their desk ... " to clearly Present and Delineate" - merely to "Facilitate"
the Transaction. ONLY ... now as a DUAL Agent ... WITHOUT giving a drop of "ADVICE" to their Seller ...? b) The Broker will no longer be allowed to "Recommend" which offer the Seller Accepts. in the room reviewing language, calls, messages, winks and nods to "Police" what goes on. the page on one of those "DISCLOSURE" CONSENT forms you have to ALSO Sign - that show you've been "INFORMED"
---------------------------------------------------For the Highest Price and Best Terms for the SELLER! Conditions of BUYER's Offer. That is UNLESS you can talk the Seller and their Agent into signing a CONFIDENTIALITY Agreement. ------------------------------------------------And WHY would they do THAT...! Logically, even SPLIT "FIDUCIARY" DUTY wouldn't allow them to do ANYTHING against the Buyer's Interest (or the Sellers). -------------------------------------------------But NOW ... they've told you. And YOU signed this DISCLOSURE AND CONSENT form - WITHOUT "Crossing OUT" the "NON CONFIDENTIALITY OF OFFERS"
in exchange for the DUAL AGENCY that allows FULL Commission to go to the Listing Broker. "...we're currently "COLLECTING Offers" to present to the Seller NEXT week ... without having to prove a thing under current laws? ---------------AND, EVEN WITH ALL OF THAT ... DUAL AGENCY may still be your best bet. going to be able to Shop your Offer. (But there is something you can do about it. See "TERMS - Short Deadline" below). -----------------------------------------------------------------...you just ADORE that HOUSE! -----------------------------Our opinion, NEVER show ANYONE just how much you LOVE a home, until Escrow is Closed. What if the property's been on the Market for a YEAR! Who's going to "suddenly" SHOW UP with another Offer? THEY may be"Repeat Business." And always so appreciative. A "separate" Sales Agent assigned by the Listing Broker for the BUYER, and SELLER. But what "actual" good does it do BUYERS? These are the Listing Broker's Company Agents provided to "NEGOTIATE"
DESIGNEES are NOT allowed to provide the "NORMAL" FULL RANGE of "FIDUCIARY DUTIES to "Negotiate"
with UNDIVIDED LOYALTY in the BUYER'S favor, "either." -----------------------------------LOYALTY Duty to "Explain" and "Counsel. ----------------------------------------Listing & Purchase Contracts you sign? ALL the listings, regardless of WHAT agent brought the listing in. ...................................a) Seek HIGHEST Price & Best Terms for the SELLER. ...................................b) Seek LOWEST Price & Best Terms for the BUYER. ...................................c) And "Naturally"- will be providing ADVICE. in "AGENCY" ... are Fastidiously "Marched Out" with Great Aplomb instead. ----------------------------------and PERFECTLY ALIGNED with the SELLER's Interest. -----------------------------------is AGAINST the BUYER'S Interest - to obtain the LOWEST PRICE. EVEN with the BEST of Intentions ... DUAL AGENCY is Structurally Deficient. going to ACCEPT your Offer? Yes. But not without "Risk..."
UP? What if they have "SELLERS REMORSE" and decide they'd rather COUNTER HIGHER after all? it won't hold up in court If the SELLER changes their mind before SIGNING and Delivery. COUNTER the Seller on the "next round" beyond mere "facilitation." and MANY properties are simply transferred "straight across the board," nicely and efficiently under DUAL AGENCY. to make DUAL AGENCY work AT ALL. designed to protect Industry profits over Consumers it could clearly better serve. family, non-resident aliens ... TOO MANY RULES! Too many "exceptions." to be HOME... and have to start the search all over again. It's easy to become a cynic. -------------------And that's WHY your best hope for a GOOD Outcome is always going to lie in something quite invisible. sacrificed over history on our behalf. ------------------------------------------------------------------GOODNESS is ALSO a fact of life. ever before, and knowing EXACTLY what to watch out for. YET ... they STILL look forward to working with you. And that speaks volumes about anyone's Integrity. ------------------------But people WILL take "Risks" where there's a lot of money involved. And that's what makes the High End the MOST dangerous. In 2014 California alone had 435 "Outright Revocations"
impressive. See ( http:// BRE.CA.gov/Publicatioins/RealEstateBulletin.html ) Spring 2013 edition. this. We just can't EVER quite seem to figure out if we're actually getting "better" ... or "worse?" provide for the public - and for ourselves? To develop simpler, intelligent National Education courses far more "specifically"
could only keeps lawyers happy, and it's not their fault either. In fact, there is simply NO solution without "good" lawyers like Lincoln. while others like California REQUIRE Disclosures with very"Specific Language" in an effort to continue allowing it. WHY...? that costs YOU and may DELAY your Offer while another gets ACCEPTED instead, and you LOSE your Dream Home? What if THEY are the really Honest People in town ... and know they wouldn't be doing you any favor sending you elsewhere? REALLY wants to see inside ...BEFORE they leave town at 4:00 and won't be back for a month? ........of Like Mind as to price and terms. .......and actually become a Life Raft for you between the Devil ... and the Deep Blue Sea. ------The PROBLEM for BUYERS is - Anyone can "say" they're HONEST before the proof's in. available Agents working under their Supervision. where they can casually feel out Agents with no uncomfortable expectations until they find simpatico with someone. Benefits of signing a contract before taking you OUT ... but before YOU'VE spent enough time to feel comfortable "They're THE ONE"
------------------------------------------------finding your Dream Home would ALSO be a FUN experience. -------------------------THAT'S the world today for BUYERS trying to find their Dream Home. a) "Possibly" saving money in "Negotiations"
......ANY OTHER OFFER that provides their company a FULL COMMISSION ... over yours. ........Inventory of Listings), where in most States you'll be offered DIVIDED Fiduciary Duty, Split "equally" with the SELLER. -----------------------------------------DOWN to that of a mere "FACILITATOR" of the Transaction. FULL Range FIDUCIARY ... BUT once again, take away HALF the money from the Listing Broker's Company. AFTER you're all moved in. Working Agent's Company actually DESERVES the whole commission. Sub-standard level. We know of no perfect solution yet. -------------------Where REE AFFILIATES Code of Ethics may Best Improve your Experience. --------------------So that you NEVER even have to "NOTICE" ... the DIFFERENCE it made. ..................................Is the ONLY approach that makes PERFECT Sense. Because it makes an End Run around SO MANY THINGS that can lead to BUYERS REMORSE. learned about YOU ... by their Listing Broker evaluating Offers for the Seller. And THAT'S why YOU Can't Help ... NEEDING to "Protect" your future NEGOTIATING Power. car salesman doesn't need to know you COULD "afford" to pay a LOT MORE ... telling things that inevitably make you "Look"
to be a STRONG CLOSER if other Bids come in. That clearly allows SHOPPING YOUR OFFER. It doesn't mean they PLAN to do it. Some would NEVER do it under Dual Agency. "The Seller accepted another offer." THE MORE LIKELY on a HOT property if it's a LARGE Company with a lot of agents. and they end up without a sale instead. ........................WHAT TO DO ABOUT IT? CONTROL THE INFORMATION that belongs to YOU. like in your New Area, and they may genuinely like you too. But don't confuse business with pleasure. YOU know ... INFORMATION is POWER and you'll be be watching. They'll be more careful. YOU may be the main thing on their mind. You, or your Agent "Gushing" ELATION HURTS your position. Make friends AFTER you're all moved in. * ... the more "options" their mind explores. * ... the more you appear to know what you're doing. * ... the more you enhance the "compliment" of your Offer. -----and become someone they don't want to disappoint. may quickly find someone TOMORROW who does). against "ALL" this apparent competition. It may be true ... or not. .......................................................---.---............Be firm - 24 HRS. if you don't answer. Make sure you have the Direct Cell Number to the Listing BROKER in case someone isn't getting back to you. as to how you're treated. clearly, calmly, and never threaten. Your agent may well be totally innocent, and you don't want them afraid to speak to you. But don't worry about being "liked." Tactic to "TRY" and avoid a Bidding War if that's what they have in mind, and it's a common phrase. and cause them to PASS on a Bidding War to seek other BIDS ... because of the RISK (you created) of losing your Offer. "throwing their hands up" at all the uncertainty - and quickly deciding to just COUNTER or ACCEPT. EVEN against "other"
Trust. Not EVERY Broker or Agent has reached the PINNACLE of their Negotiating Skills, but that doesn't mean they know it. unpredictable "Outcomes" of BIDDING WARS ... because the SELLER has the MOST to lose. EMOTIONS MAKE DECISIONS. INTELLECT MERELY LINES UP THE OPTIONS. ------------------------------------------------------THIS is not FIRST COME - FIRST SERVE. THIS ... is a BLIND AUCTION. NONE of "THEM" ever want to lose ANY "GOOD" Offer ... because other "Offers" sometimes fall through. ---So YOU:.......................INDUCE FEAR................................REDUCE TIME............................... And WAIT. you "Quickly" to salvage your interest ... by "COUNTERING" with your EXPIRED Offer. .............................................................................Which you'll then have to Re-Sign to VALIDATE. ........................................................Now that THEY - have let the offer EXPIRE. "...and it would serve me right. It's a Good Offer." THIS ... is the moment YOU literally "created" ... by NOT showing ELATION. .........................................................It's fair. And it can REALLY Pay Off. ABSOLUTELY NO FEAR you won't be patient, and think you'll probably pay more. Wouldn't YOU think the same? tries to influence them ... the SELLER makes the final decision. is usually an impenetrable "Black Hole" for Buyers. Make SURE they have to worry as much as you. If they DO "Delay" - You're left free and clear to keep looking and offer on another property without consequence. ------------------giving a longer deadline wouldn't have helped in the least anyway. --------------a) Running circles to accommodate the FEAR of losing your Solid Offer ... over "Pie in the Sky." --------------c) "Office OFFER Gossip" may not reach the ears of potentially Lurking Investors ... In TIME. your Money and Getting the House you want ... we suggest you contemplate the "Pros." It's all a little like playing High Stakes "Poker"... where "Bluffing" is allowed. Only the "Pot" is ENORMOUS (Your Dream Home) ... and you already know they have a very good hand. ........................SHOP YOUR OFFER and can make you Raise Your Bid against other players to stay in the hand. .......................................................while they make you wait. ---------------------------------DON'T TAKE AWAY THEIR "FEAR" by giving them TIME. ---------------------------------DON'T "Show your HAND" ... by showing your ELATION. that ever makes anyone FOLD ... without even getting to see what was in YOUR Hand. And YOU ... take the "Pot." But don't feel too badly for not being your usual Open self. Unlike "poker"... when you win THIS Hand ... THEY still get the MONEY. But WHAT happens to YOU ... when you lose? "Might" you do Better - simply showing what a "nice" person you are by politely giving More TIME if you're "admonished"
..............................................................Are just as "nice" as YOU? The BROKER isn't going to "FORGET" a good Offer. And they aren't likely to give you "DETAILS" on other Offers you can RELY on, or even PROVE they EXIST, anyway. But what you CAN do something about is TIME. -------------------------------------------------TIME truly IS "OF THE ESSENCE!" ------------------------------------------... is what is "Of the Essence" for BUYERS. never even know "WHY" you lost the house. All you CAN do ... is reduce the TIME it takes to use that Ace. "certainty" that you're serious and YOUR BID is a STRONG CLOSER because the money is there. THAT is what they're ALL looking for and will Commit to, EVEN over price. will only create RESISTANCE to SELLERS accepting a LOWER THAN ASKING Offer. And, may even add insult to injury. your ability can even make your OPINION of Value seem more legitimate, and the chances of your "walking away" stronger. against a "slightly" higher Offer - you may want to at least be given the opportunity to consider. not being taken serious "enough." unless you're FAMOUS - come prepared. * Full 3% Earnest Money, Removal of All Contingencies you can live without. "Swift" timing for the rest towards a Quick Close. * Flexible Move Date for the SELLER'S Convenience can be VERY appreciated and shows you're compassionate. a) It can be a Tactic to see if you'll CHASE. Of course, simply Offering MORE can work. But nervously "Chasing"
waiting a few days to see if THEY'LL come back to YOU may be better. If "Patience" is your decision - don't allow your Agent to "Dare" call for "Feedback" on your behalf. .........................................................(They're dying to know if they're going to get PAID!) . Their "Eagerness" will seem a reflection of YOUR eagerness and RUIN your Strategy. "FIDUCIARY Duty of COMPLETE Confidentiality, and their DUTY to Follow the Client's Instructions). "believes" to be true. Only the Listing Broker may really know what is "true" at a given moment. MORE" to get it all over with ... Ask if they're willing to PROVE that a competing BID and all Terms are "actually" BETTER than yours? you can remind them they already have NON CONFIDENTIALITY OF OFFERS and can show any Bidder whatever they want. Consider "PATIENCE." They're probably running on "autopilot." That house you've fallen in love with is only "Personal" to YOU and your Bank Account. they may come in with BAD "Contingencies," making the clock tick even faster in your favor if they fear losing your offer. 4. There are "Other" INVISIBLE forces you also CAN'T Control or Influence. ---------------------------------To attract "Bids" by Fanning the Flames of "LAST CHANCE" to PREVIOUS Viewers. To sell 2 or 3 of the Broker's Inventory, ...instead of just ONE to YOU. ----------------------Because Brokers NEED to sell ALL of their Listings before they Expire. --------------------------------------------------------NOT just the GOOD ones! "something" when it makes twice the money and sells your inventory. "seeking" their advice. The industry doesn't care about "First Come First Serve" - or "Breaking in Line" - or "WHO" gets "WHAT,"
houses are understandably interchangeable commodities for them and "FREE Markets set prices." -----------------------------All your working a lifetime to be able to MAKE that Offer on that Exact Dream Come True. But, whatever the TRUE reason you lose your Dream Home ... you're probably never going to know. No one is going to even think it's a big deal. But it can be an emotionally crushingly experience for you. And all the Industry has to offer is ... "Don't worry. We'll find you a house." ---------------------------------------------------------------But it will NEVER be ... THAT house. No one even understands what you're really trying to achieve. That's "why" you need TACTICS. That's "why" you DON'T want to - "... just be yourself." In fact, the ONLY upside ... at least it's NOT as Bad as GETTING what you want - and ending up with BUYERS REMORSE. Commissions you'll be funding) ... and you have to MOVE again. ------------------------------------------But if you PAY what they ASK ... you get the milk. no "reliable" explanation or opportunity to Counter. that's why it helps in so many ways to have someone REALLY Honest on your side. Because this isn't your FIELD. "And even Einstein couldn't have passed a test in SURVEYING ... because it wasn't HIS field ..."
When we all know some people will Smile right through their lies? It's one of the most important things you may do towards getting it RIGHT the FIRST time. ----------------II "ASYMMETRY" OF INFORMATION ... ??? .........when used as "inspiration." Instead of appropriately being ignored. 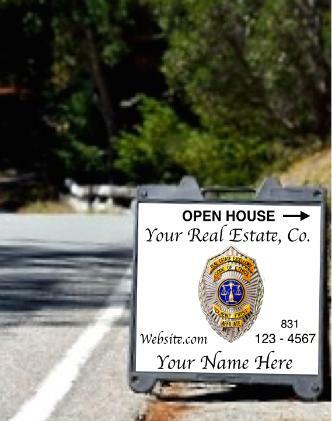 ------------------------------------------------INVITATION to make your "Best and Final Offer"
Real Estate Professionals are Legally "required" to provide BUYERS. than the "Whole Truth" would have bolstered. while "PROUDLY" waving the Flag of Free Market Enterprise as Noble justification. the only question left standing Naked in Public is ... "who" is Benefiting? any more than ANY individual citizen is to blame for LEGISLATIVE mis-behavior from which ALL laws emanate. we were born. It's the creep of bad laws, and the Divide and Conquer strategy that allows 50 States to control the "complexity,"
VERY CAREFULLY ... Or give the SELLER "grounds"to Sue us on a Platter, or the State to take our License. ----------------------------------------------------------------------It's Never too late to change. c) And a Fair interpretation of Honesty for the Buyer. You'll at least have the Best Chance of seeing where the ICE is THINNEST. YOUR Best Interest ... Before My Own. TIME to work against you. BUYER'S EXCLUSIVE AGENCY AGREEMENT. THIS IS A HOTLY DEBATED "Good vs. Evil" TOPIC Online. ----------------------LETTING THE GENIE OUT OF THE BOTTLE ... To show the "INVISIBLE." Clients towards "A-L-M-O-S-T" ANY Deal - to make sure they get PAID "something"... before you walk away "frustrated,"
or "Heaven Forfend ..." meet some OTHER Agent at a Cocktail Party or Open House whose - LOTS OF FUN ! ................................................TO TALK CLIENTS OUT of Bad Deals. Pharmacist, Stock Broker, Economist, Psychiatrist, TV Salesman, Engineer ... ? -------------------------------------------------------"What do you think ...?" ..........................................."...what do you think ... ?" ...about the price? The investment? The street? -------------------------EXACT TRUTH. THE WHOLE TRUTH. AND NOTHING BUT THE TRUTH? their Agent to do, 24-7. In a modern society, working without confidence of payment is notably unusual, and a DRACONIAN expectation of any "licensed"
Required Confidentiality and Loyalty in seeking the LOWEST Price and BEST Terms. (With the EXCEPTION of the STILL PROBLEMATIC DUAL AGENCY when offering on your Agent's in-house inventory). That DUAL AGENCY is a BIG Exception in need of a HERO. But when it comes to"
a) Inspiring Agents to give their BEST. b) And Buyers Receiving HONEST ADVICE. The PLUSES outweigh the MINUSES. and I REALLY HOPE you aren't U-p-s-e-t ! Because you REALLY did such a GOOG JOB and I WANTED you to KNOW that...!" Then make them WORRY the whole time they're doing their job ... if you're ever going to pay them? to be PAYING to the SELLER'S LISTING Broker ... who is Legally BOUND to work AGAINST your interest and FOR the Seller's? How about ... the competition? Listing Brokers prefer BUYERS call them Directly ... so they DON'T have to Split the Commission in Half ? That's WHY they put their Phone Number on Signs and Ads. THEN ... may ask you to Sign something quite similar to that "BUYERS EXCLUSIVE AGENCY AGREEMENT"
DUAL AGENCY, just In Case you happen to Offer on one of THEIR LIstings. because they don't HAVE any. --------------------------------------SELECT the Properties they're going to take you to see. --------------------------------------Instead of being told ... "CAVEAT EMPTOR"
Unfortunately, THAT "morality" can reduce the amount of money someone takes home ... when it's just TOO EASY to MAKE IT ALL. There are some REAL advantages to giving the Listing Company what they want with your signature. a) Their BEST Efforts in exchange for their Security and full Financial Potential you've given them by the Agency Agreement. b) Their FULL Fiduciary representation if you end up choosing one of their Competitors Houses. if they can convince the Seller) because of that "NON CONFIDENTIALITY OF OFFERS." a) Every reason to "Go The Extra MIle" for knowing they're NOT going to be losing you to a "WHIM." ------at least "some" CHANCE they'll end up with the FULL COMMISSION. Human Nature finds it MUCH easier to be 100% honest ... when it DOESN'T cost us anything. "... might" be Wrong about that house being a VERY BAD DEAL ... for YOU. Perfect Little Pocket as well. show you while getting to know each other ... then renew for 6 months or more if you feel you really have a good Agent. "waste" of your own money, and a missed opportunity NOT to USE that "Other Half" of the commission - for your OWN "HIGHER"
education requirements to keep up with State and Federal legislation." -----------------For a LOT longer than any of us have been around. "... and even Einstein couldn't have passed a test in Surveying, because it wasn't HIS field ..."
----------------------------The "High End Buyers Remorse TERMINATOR'S"
-----------------------Is the ONLY approach that makes PERFECT Sense. ---And gives Buyers the BEST chance of ending up in their REAL Dream Home the FIRST time! by the Local Agent you choose. ... with little risk of losing the Sale. "Fiduciary Duty" and "Capitalism" have created a Bed of Roses for Listing Brokers & Sellers. To paraphrase Shakespeare ... something's not quite right in Denmark. to toll dire ! WARNING ! ........................................--........"Caveat Emptor my friend ...! " -----------might actually look like. And the Smartest Structure to pursue for this particular SELLER. -------------Of having your Offer used like "FLY PAPER " to ATTRACT a Bidding War. widespread public experience and interest. interest, and legitimate interest of our Industry. (C) Or for Bad Lawyers needing to invent a "case"
present themselves to courts as "good faith"
intimidation, mounting legal cost, or exhaustion. .......The High End Buyers Remorse Terminator. behaviour of independent licensed Broker/Agent Affiliates. Inc's legal authority or supervision. THEN ... Start on the House! And that's why ... we're trying to help you FIND them. ... INSTEAD of "Starting Off" with the "usual"
What's at the Other End of the Street...! and All AFFILIATES know the "words"
to know "exactly" what to look for. the "luck of the draw." exactly the way they would their own Mom. marks, and trade dress of Pebble Beach Company." Residents and Visitors to our little Paradise. Remorse Terminator with picture of Firemen"
Welcome to the Home Page of our HighEndBuyersRemorseTerminator.com VIDEO and Website. 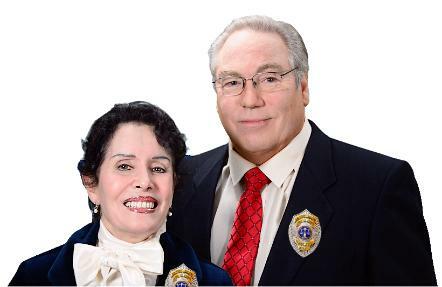 All content on this Website and the VIDEO represent the OPINION of Real Estate Excellence, Inc. WARRANTIES OF FITNESS FOR A PARTICULAR PURPOSE, MERCHANTABILITY AND NONINFRINGEMENT. such Materials contrary to U.S. law or the law of other applicable countries is prohibited. Finally ended up “Happily Ever After” in the Old Estates part of Pebble Beach, …which turned out right for us anyway. And some people have a higher number than US! But don’t think all the moving around that goes ON here... is some kind of… mellow HOBBY like Buying classic cars at the Concours Elegance. Moving is misery for everyone. You MOVE when you’re DISAPPOINTED!So you MIGHT think.. maybe we just weren’t LUCKY in the beginning. …to the right …the old Frank Lloyd Wright house sitting on the white crescent Beach of Carmel…with kids... and dogs... and fires on the beach at Sunset. the WORLD… and we LOVED it! And in the beginning ... with both houses… all you ever could have heard us say was … WOW!… how could anyone ever leave this place? you’re going to be feeling as LUCKY as a kid in a candy store TOO here in Paradise. EXCEPT ...FOR-ONE-Little T-H-I-N-G ...You only get ONE… CHOICE! bite.…and you can’t just put it back and try another when your elation moves on to “greener” pastures. You have to sell it .. to someone else. So if you’ll allow us…We’re about to make you BULLET proof! High End Buyers end up with Buyers Remorse … M O R E than anyone else. BECAUSE … HIGH End Buyers have T-H-E Highest EXPECTATIONS! Not too Hot… Not too Cold… but J-U-S-T right! so they can. ... and sometimes on a WHIRLWIND Tour of Intoxicating Dream Houses …. even on the First DAY ... !!! Before they even know what’s at the other end of the STREET...! BEFORE they even find their OWN FAVORITE part of the NeighborHOOD ...! …the Biggest WOW of the day just “lifts” that loaded checkbook Right Out of Their Pockets! moving again. Or WHAT was the point of COMING here in the First place!!! REAL "Perfect Little Pocket" ... the seller pays the commission again ...ONLY ... it’s all out of YOUR Purchase Money… AGAIN! if you sold a house to move here. BOTTOM LINE … ONE Miserable case of Buyers Remorse for YOU ... 3!!! COMMISSIONS for the INDUSTRY! Or 4! So it’s ONE mistake … that cost a lot of people a small fortune. ooooh ... You LOVE the house!!! WOW! ELATION! And THAT feels like a free lifetime Insurance policy from Heaven to us all. But it’s not. and you REALIZE … the word “location” … REPEATED 3 times in a ROW... Probably DOESN’T mean something as BIG as an entire NEIGHBORHOOD ... like Carmel, or Pebble Beach..? Setting that brings us the DEEPEST Tranquility. WHIRLWIND Tour … from one intoxicating Dream House… to the NEXT Dream House... until you finally fall in love with a DREAM HOUSE!!! Just about EVERYONE Does!!! house…A F T E R you’ve LIVED here awhile.. that MOST of us ever DISCOVER our own "Perfect Little Pocket!" …that “Special” little Nook or Cranny in the neighborhood...we FALL in LOVE with! to find your own "PERFECT Little Pocket" ... AFTER you‘ve already BOUGHT somewhere ELSE! people, by acting authoritatively and playing on your emotions…and the Self-Affirming IMPULSIVE Buying that comes ALONG with ELATION …and being able to AFFORD these Trophies. DREAM HOME is an end game. I was supposed to be your REWARD. Not an education. your OWN "Private EXCURSION" with us to find YOUR "Perfect Little Pocket" FIRST! It’s free, and all you have to do is listen. curtain BACK to show you the common pitfalls of those who’ve erred BEFORE you at the High End… so that YOU don’t end up Reinventing the wheel when you get here,like so many of us did. all over AGAIN. 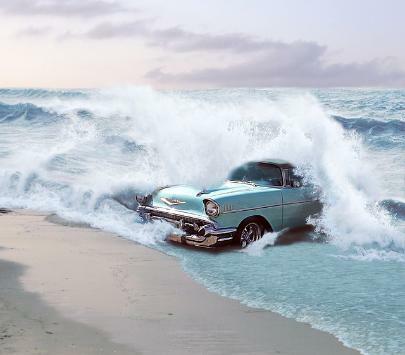 When all you THOUGHT you were doing was coming here to RELAX … have some FUN… and be HAPPY...! And some people have a higher number than US! a “Right Questions” button like YOU do on this page. So you might want to "BOOKMARK" this site as a RESOURCE to help get ready for when YOU come. Because finding your OWN Perfect Little Pocket FIRST … is the ONLY approach that makes perfect sense. And that’s WHY it’s OUR Novel Approach. And it can even be faster. But the BIGGEST surprise waiting for every High End buyer is ... YOU ... are going to be THE absolute Only person… with the SLIGHTEST interest in finding that Perfect Little Pocket for YOU first. ...before you’ve even found your own FAVORITE part of the neighborhood! Before you even know ... what’s at the other end of the STREET. can utterly DICTATE what we’re being SHOWN ... while our future happiness ... dangles in the balance. at the HIGH END ... has a TOTALLY different goal than “T-H-A-T!” THEIR GOAL is to sell THEIR listings ... First and Foremost. Before they EXPIRE - or YOU stumble upon a "Competitors House"
when they can make it ALL. had SHOWN it to you. And that’s the moment your head begins to pound with the realization ... you’ve got Buyers Remorse ... because of the “WAY”... THINGS are done. price range ... like ‘Hor Deuvres spread out on a platter...? Well, ... welcome to the club! You May have just paid Millions ... and you’ve already got ... BUYERS REMORSE. EVER get to see the WHOLE Open Market of houses for Sale "in your price range" ... "in the neighborhood YOU expressed interest in? ...which is usually a manageable number at the HIGH End. BIGGEST thing that literally Causes Buyers Remorse is not YOU! ... It‘s the WAY things are done,that ENCOURAGE "Elation Buying." For us, there was no TERMINATOR, no RIGHT QUESTIONS button, and no one FOCUSING US on the importance of finding your own perfect little Nook or Cranny in the neighborhood FIRST! taken WEEKS to do on horseback! are BOTH right for YOU! So that you End Up living in a DREAM HOME ... that’s ALSO in your ABSOLUTE FAVORITE part of the Neighborhood. And you can’t do better than THAT! BAD nightmare ... Or ... a pleasant walk in the park if you want to find your OWN "Perfect Little Pocket" with US one day. one of the BEST properties on the Peninsula!? Translation "MAKE your Offer on MY listing TODAY ... AT the "Asking" Price or HIGHER ... or LOSE this Amazing Opportunity to some Sharper Buyer whose probably already AHEAD of you!" And, sometimes these things are true. But everyone knows there’s no way for YOU to know. So you’re going be too Polite to challenge the assertion …even when you DON'T believe it. losing the “Really GOOD One”... when ELATION does strike ... You’re All the more LIKELY to Act TOO FAST for your own good. Before you even KNOW what’s at the other end of the street. most of the "Slings and Arrows" at the High End ... for the rest of your life. But as hard as it may be to BELIEVE… ... we’ve actually saved the WORST for last. Because we don’t WANT you to feel discouraged when this is such a wonderful place to live. And once you get it RIGHT ... NONE of this is going to matter in the SLIGHTEST to your happiness. community. And as you can see by now, there are far worse things going on at the HIGH End ... than just your own IMPULSE to Shoot Yourself in the FOOT with your checkbook. heads ... to keep this Repetitive Cycle going like Clockwork. you. By giving a predetermined "Bottom Line" number the Seller will Accept ... then allowing them to PROMOTE the property for "whatever the market will bear" ... and KEEP the "difference." But it’s a "DIFFERENCE" YOU’LL be paying! We know of one such arrangement on a property overlooking Stillwater Cove near the Lodge ... where that Bottom Line was a 15 Million Dollar "
scenes sometimes ... or how much people really understand what IS disclosed. So you can only use your imagination to protect yourself. along the way on your Whirlwind Tours to make you THINK you have to offer HIGHER than the REAL Comps that use “SOLD” prices would ever justify. MALLEABLE to "little" compromises ... Like giving up that VIEW you wanted so badly ... for Glitter!!! BECAUSE ... they need to sell ALL of their listings. NOT just the GOOD ones. deep TRENCH the size of the Grand Canyon just off the coast that holds a LOT of very cold water. So no matter what someone might TELL you... you can bet the summer long fog is here to stay. Of course, We LOVE the beautiful fog, because WE were raised where it’s HOT! But the point is ... will YOU? Some people find it depressing. little Cottage you’re falling in love with ... “MIGHT” be a Deal Breaker for YOU! But how likely do you suppose it IS that anyone’s gonna be bringing THAT up ... when it might scare you off? imagine a HIGH End Agent bringing any of THAT up ... in a Truly informative way, trying to make sure YOU end up happy ... instead of them? when a little HONESTY would have actually made it EASY to get it right the FIRST time. When even a "LITTLE" honesty could have literally saved you MILLIONS of Dollars worth of misery. button ... just ENOUGH, to get it right for YOU the FIRST time ! Because these invisible things really ARE real. They’re the “Remorse Part" people end up having to LIVE with ... or move again. ... because it wasn’t HIS field. But our TERMINATOR is HERE now to CUT that DECK so that at least NO ONE can deal from the bottom against you. good to turn if you have questions ... and NO ONE you trust to Turn To. Full Timers Out Here ...are there?” Or ... kinda REMOTE ... isn’t it ... We just couldn’t BELIEVE it! MOST of our NEIGHBORS were hardly EVER in TOWN!!! Take a walk ... no one around! bothered “you.” But it wasn’t long after that … we were moving again. your own private EXCURSION with US!Or even try on your own, if you have the time to learn the area, and a local you TRUST to help answer some of the harder Right Questions honestly. Because here’s the truth in a nutshell. Human nature ... motive ... and the Industries control of the Locals Information ... has you on the “short end” no matter HOW smart you are. Whimsical Sellers ”ASKING" prices. So that YOU can make a FAIR Comparison to determine YOUR Offer with some GENUINE numbers and peace of mind. where people were MEANT to live. And WE think it’s PARADISE. WELCOME ... to your NEW Adventure ...! ---------------------------------THE ONE YOU WOULD HAVE PICKED ...! -----------------------If only someone you Trusted ... Had shown it to you. RIGHT QUESTIONS to ask to avoid REMORSE. Clients will NOW know exactly what to avoid. 1) BUYERS Avoid "Buyers Remorse"
by finding your own "Perfect Little Pocket"
WHIRLWIND Tour of intoxicating Dream Houses. Usually ...-Only Good for the AGENT ! ------ever before, and knowing EXACTLY what to watch out for. ---------------------------------------------------------YET ... they STILL look forward to working with you. -------------------------------------------------And that speaks volumes about anyone's Integrity. contained within our Intellectual Property distributed in any form, represents the OPINION of Real Estate Excellence, Inc.
licensed qualified real estate attorney for "Legal Advice" and a CPA for financial advice. inaction you take based on the information, materials, or services on this site, our Affiliates' sites, or our actions. 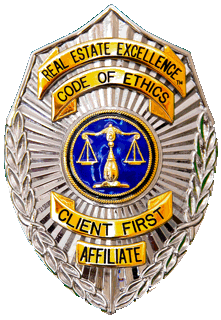 *Real Estate Excellence, Inc. may receive compensation for referral of Buyers or Sellers to Affiliate Companies. --you don't know as well as the Locals. "Before you even know what's at the Other-End-of-the-Street...!" ----------------------- When they can make it ALL. Real Estate PRACTICES affect everyone who lives under a roof. We believe it's time for EVERYONE to be treated fairly. --------- -INSTEAD of a Competitor's Listing where they have to SPLIT the Commission in HALF! ------------------------Because ALL Brokers NEED to Sell ALL of Their Listings before they EXPIRE. ----------------------to make TWICE the Money by not having to Split the Commission in HALF. ----------------YOUR perfect Location - Location - Location. Nothing WRONG with the house you bought. -----------------------------------Now that you've found your REAL "Perfect Little Pocket." ----------Before their ELATION has them Shooting themselves in the foot with their own Checkbook. BUYERS REMORSE as you soon-get to KNOW the neighborhood ... AFTER you're All Moved In. --------------------------------I would carefully provide my own family. -------------cooperating in the background over commissions. ----------------------------------------The BEST house On the Whole Market for YOU ...! 1) Commission Splits can Utterly DICTATE WHICH houses Buyers are shown. ...........................................Recommends their Seller ACCEPT ... even when YOURS is HIGHER. ------------ALL Listing Brokers make TWICE the Money selling their own company's Inventory. ........................................................NOT just the GOOD ones YOU want. ALL businesses prefer selling their own inventory. (See: Wikipedia.org "... and the CAVEAT EMPTOR rule applies to all other sale situations (e.g. homeowner to Buyer).